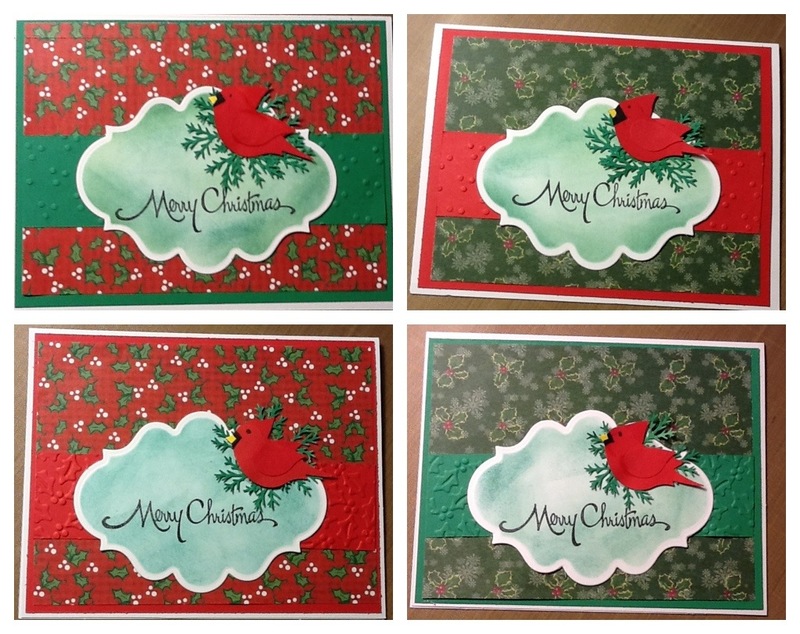 I was so excited to get these die cuts from a card-making friend, but found once I pulled them out to play with -- I have no idea how to incorporate them. So I decided to start slow with the negative portion of the die. I inked it up, added some more of the gifted die cuts (clouds) and tried to put some subtle snow like drifts below the die. I added a sentiment, and its done. The more I look at it the more it grows on me. Thanks for stopping by, Happy Friday. 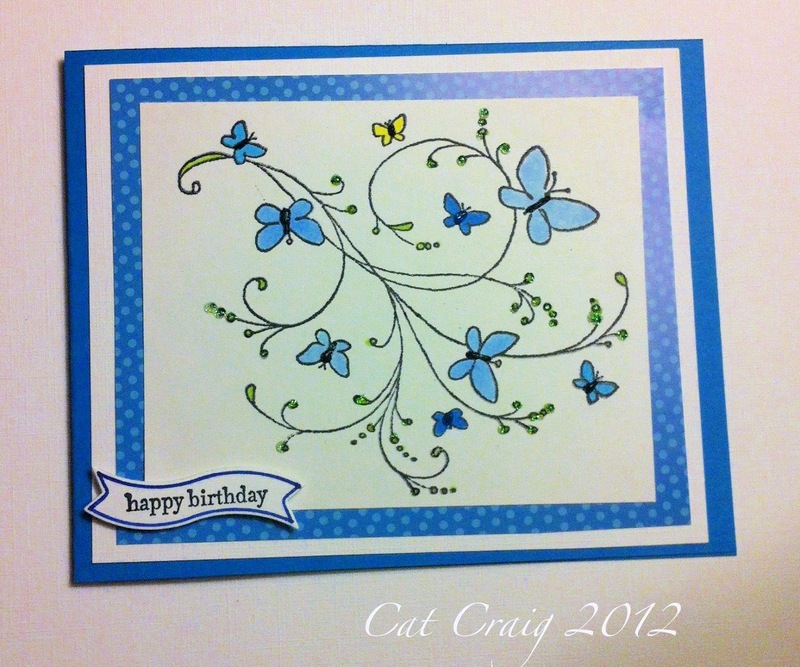 When I first started making cards, I thought it would only be a casual thing. 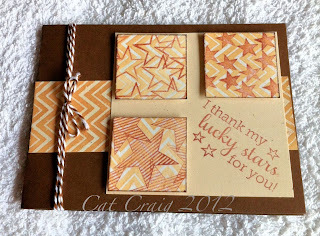 I was a scrapbooker and I didn't want to invest in a lot of stamping supplies. (I'm not sure what happened, I am now surrounded by stamps, ink pads, punches, dies and embossing supplies.) So I looked for free digital images online. I found this one, but I have no idea who is the copyright holder of the image. If anyone knows, please let me know so that I can give credit. 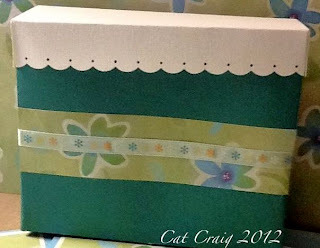 I made this set of note cards for a birthday gift, having recently found the colored images in a craft area reorganization. 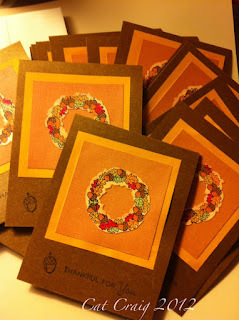 The images were printed on cardstock, then colored with Copic markers. 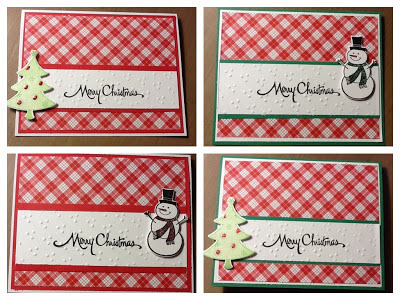 The centers have stickles dotting them. 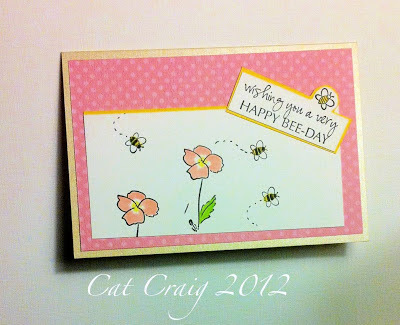 They are matted on glitter card cut with spellbinders. More matting on white, then added to a colored cardbase. 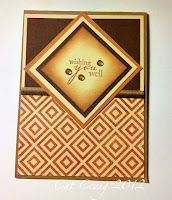 Rounded corners and some twine finishes up the set. I deliberately left them without sentiments. I colored these images more than a year ago, I am glad to have finished the project. Thanks for stopping by. Hi, I used the Mojo Monday Sketch # 268, however I am not sharing it before the deadline to post and link it to the challenge. It's going to another friend and former co-worker of mine that might take a peek at my blog now and again. So her birthday is today, and she should have the card in hand by now. Tuesday Trigger at Moxie Fab World. are absolutely adorable and look remarkably like some spellbinder dies. So that was my inspiration for this card. 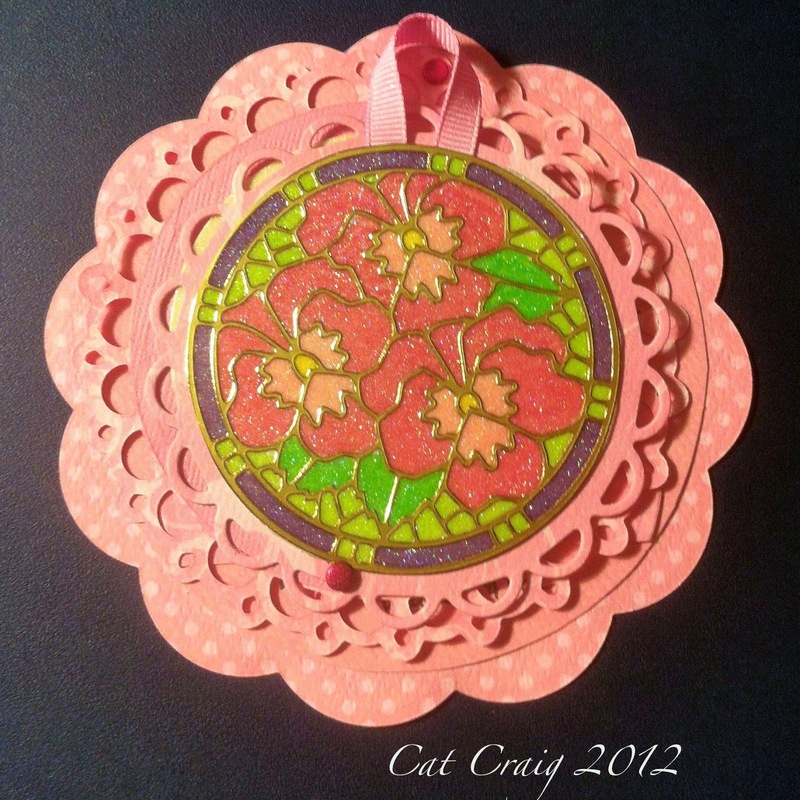 For the Card Chain Challenge I was lucky enough to land behind my card making on-line friend Maria whom I met through the Hero Arts Flickr group. 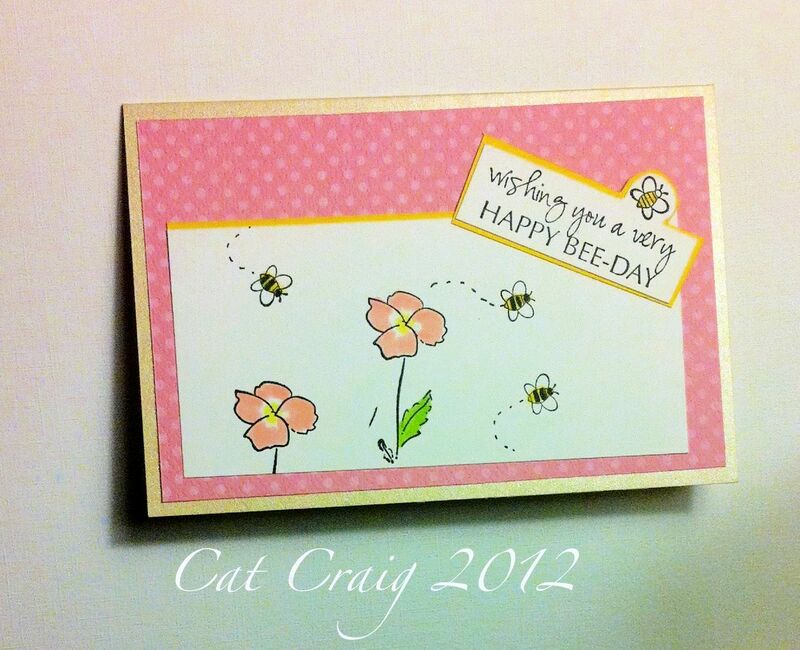 She had my name last month, so I was thrilled to be able to send her a card this month. I opened up my newest Penny Black stamp set. 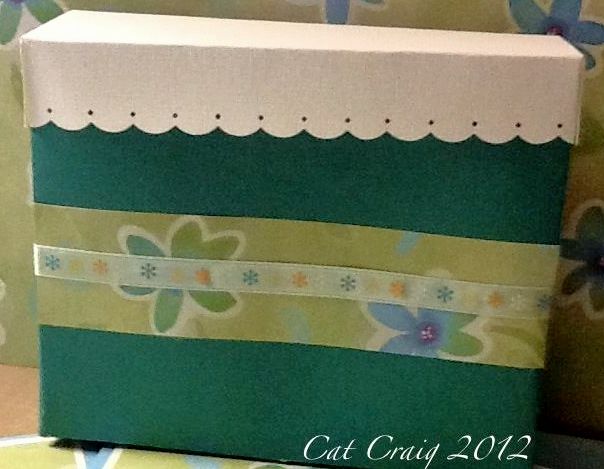 I wanted to make a shaped card, so I broke out my spellbinders, cut three panels in white and 1 interior panel from patterned paper. I inked the larger panel, leaving the die in place to provide a white edge and attached it to a plain white die cut panel which had been scored near the top for the card fold. 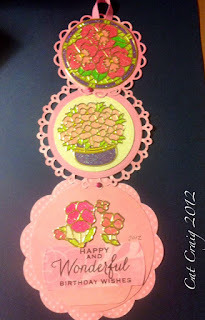 The flower I chose was stamped 3 times with the die in place and colored with Copic markers. I inked around my colored images again with the die in place. Next I stamped the sentiment. Lastly I added stickles in same shades as the colored images. I let this all dry for 1 full day. Then I assembled the card. One of my friends and former co-workers is having a birthday today. Her favorite color like mine is yellow. 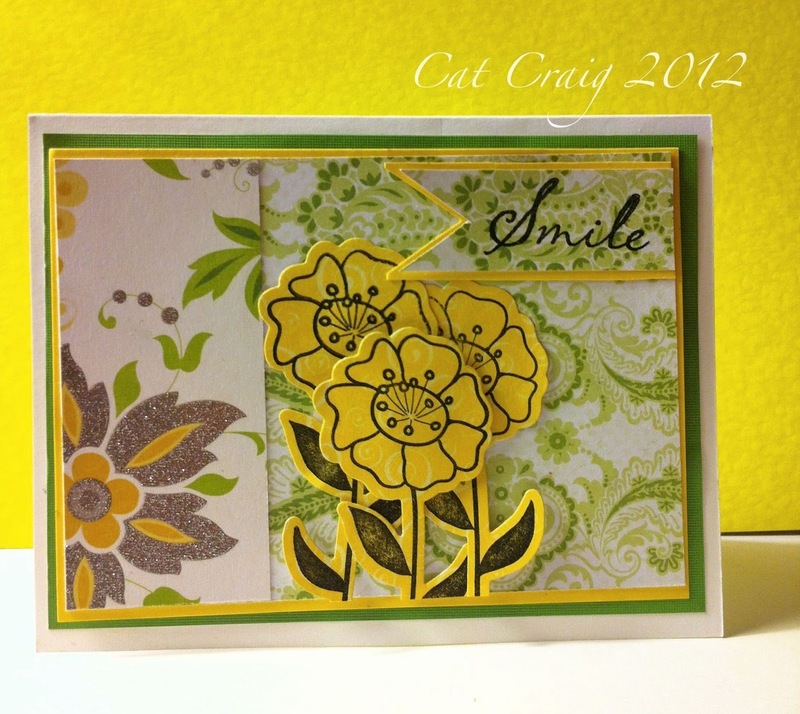 This was a fun card to make for me, because it screams sunshine. Fitting for these 70 degree California autumn days. 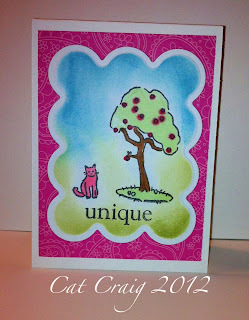 Stamped and embossed image, colored and enhanced with stickles. Then I fussy cut it out. 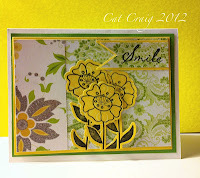 I did not like the yellow against yellow, so I matted it and fussy cut again(ugh). 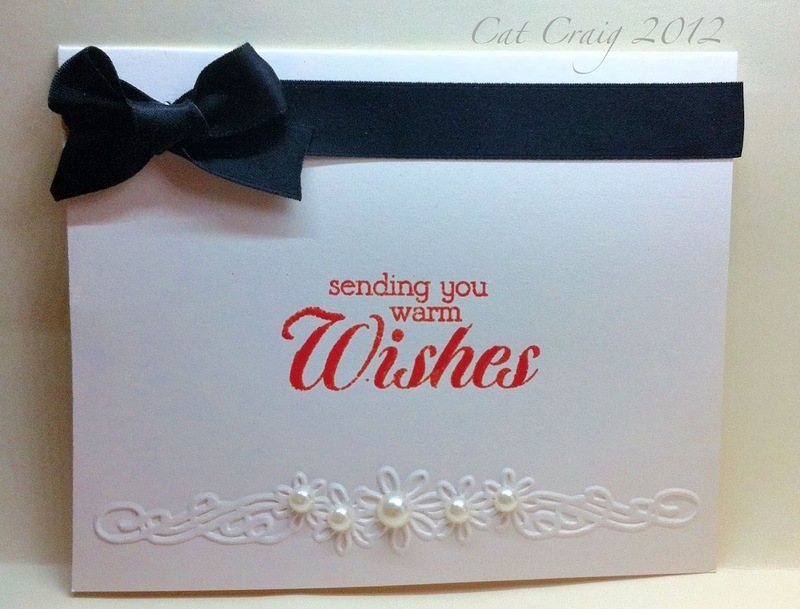 A matted bit of left over patterned paper, and a stamped & heat embossed front sentiment. I know I would smile opening this card. Our nephew just started his first full time job, in his chosen career field, after obtaining his Bachelor’s degree earlier this year. Hubs and I thought that deserved a card. 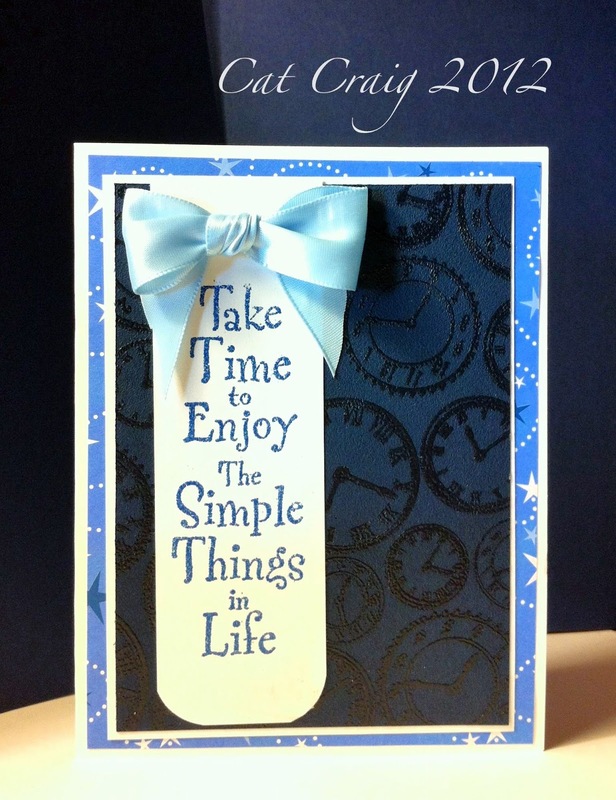 I made this a simple “Guy” card with graphic shapes-the Squares background from Hero Arts was just perfect. I stamped with Versamark and heat embossed in blue. Then cut it out along the diagonal so that I would have squares, instead of the diamond shapes produced by this stamp used in a traditional manner. 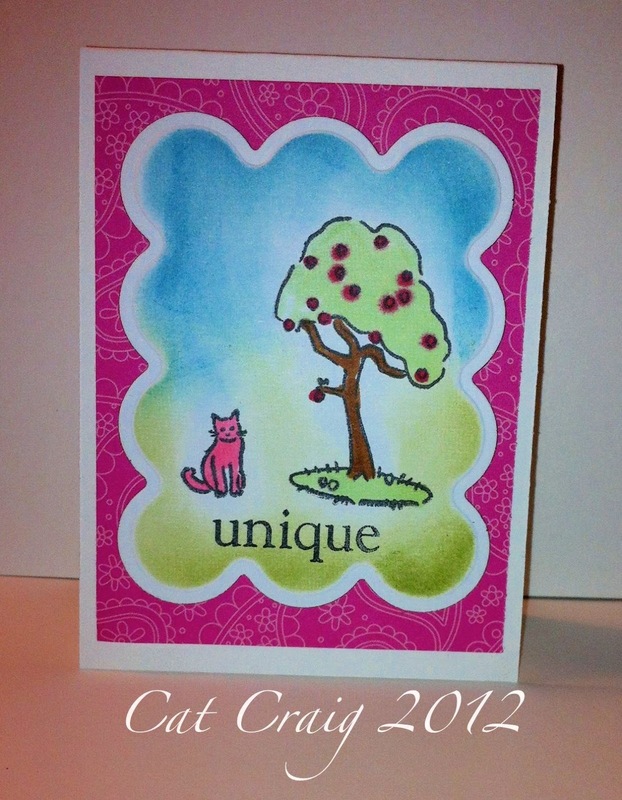 I found a sticker sentiment that was perfect for this informal card. I hope he likes it, to make sure there might have been just a bit of green inside too! Another challenge card. 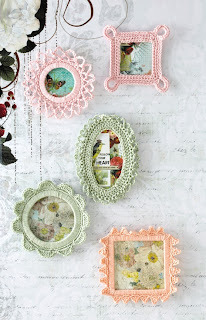 Playing along with the Shopping our Stash challenge. 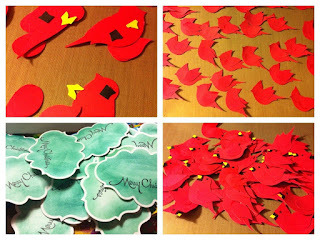 The challenge is to use a leaf or many leaves. 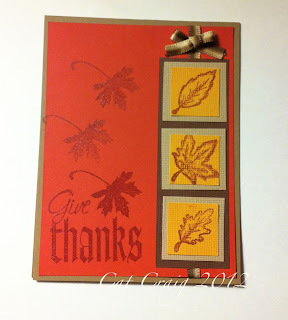 I pulled out my Heartfelt Creations leaves and Thanksgiving stamp from last year. 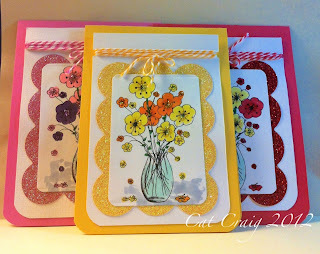 I die cut several leaves with Spellbinders dies. The top two were stamped, all leaves were colored randomly with Distress inks in peeled paint, scattered straw, and barn door. 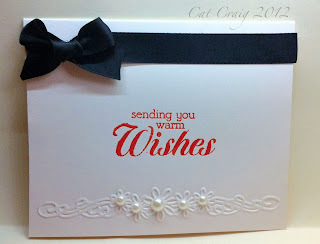 The sentiment was stamped, heat embossed, and inked with scattered straw. 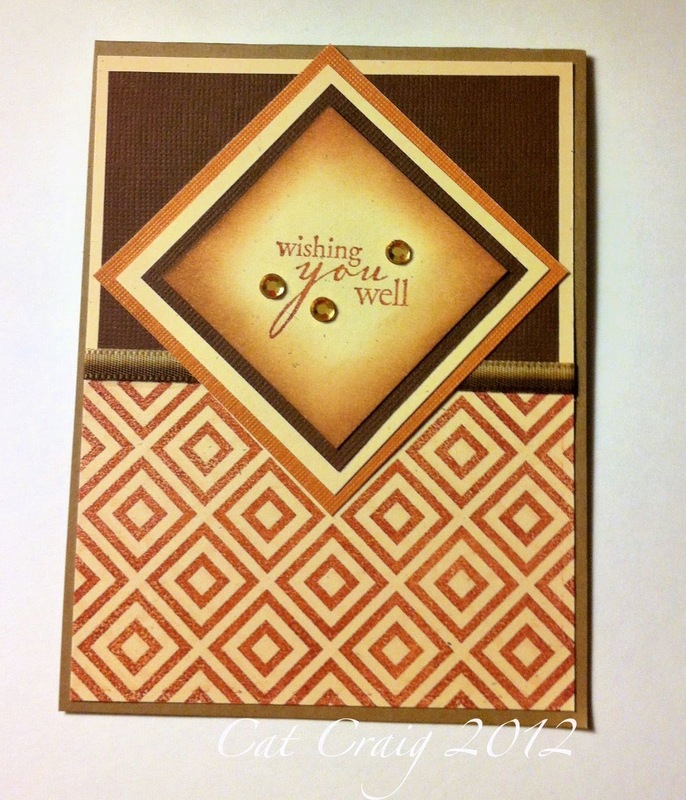 A scalloped mat was cut with spellbinder dies. 1 simple gold gem and a bit of ribbon, and its done. Have a very happy holiday for those of you in the US, and a very good autumn week for those not celebrating Thanksgiving. I procrastinated making my Thanksgiving cards for family and friends...I had gotten a cute fall stamp set with a matching (I thought) wreath die. Its close, but I couldn't make it exact no matter how few or how many millimeters I moved it around the stamped image. Frustrating, I decided to go with it anyway. I found a lovely Thanksgiving poem for the inside. 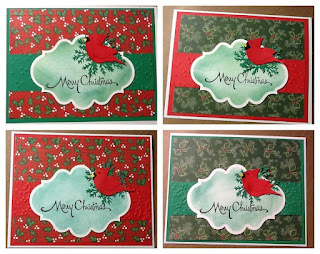 Next big project the Christmas cards...yikes...sadly they are not started yet...well glimmers of design are coming together. 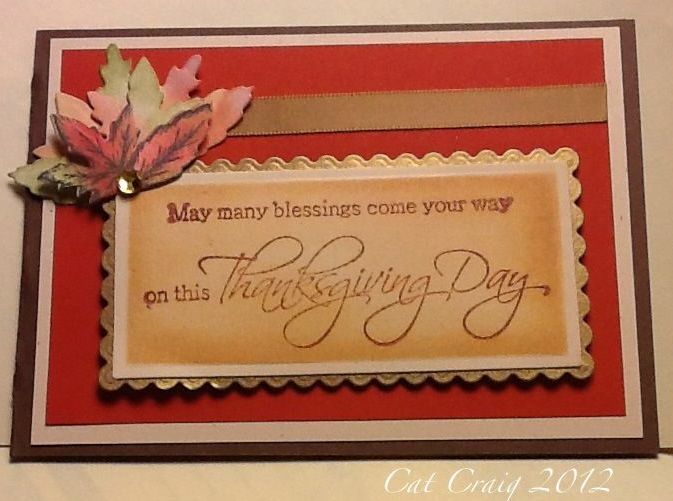 Thanks for stopping and have a lovely holiday for those celebrating Thanksgiving this week. Hi Everyone, its been a busy 24+ hours of crafting. 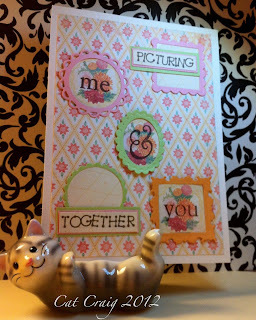 I spent Friday scrap booking with my scrappin' bud and then participated in a 24 hour scramble over at the Hero Arts Flickr group. There were twelve 90 minute scrambles starting every two hours on the half, with a 30 minute break between scrambles. Twelve hostesses provided the scramble theme at the start of the 90 minutes. At least one Hero Arts stamp is a must on these cards. Hero Arts provides the 12 winners each with a digi-stamp prize. I hosted 1 of the twelve, and got to participate in 4 others. Since the scramble started Friday afternoon for me, I wasn't able to participate until I got home at 11pm, one quick scramble then off to bed as I had hostess duties at 6:30 Saturday morning. It has been a blast, and I am going to share my cards and each of the themes with you. Hope you enjoy looking through the photos. Next up the scramble I hosted #8. My theme was to make a shaped card and have nothing white, off-white or cream showing. 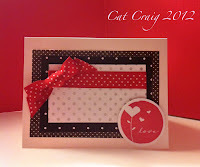 My sample card is below. I randomly added red stickles to the stamped wreath. Next up scramble # 9 right after mine, the theme was an animal of another color. I have almost no animal stamps, insects yes...animals no. Weird huh. 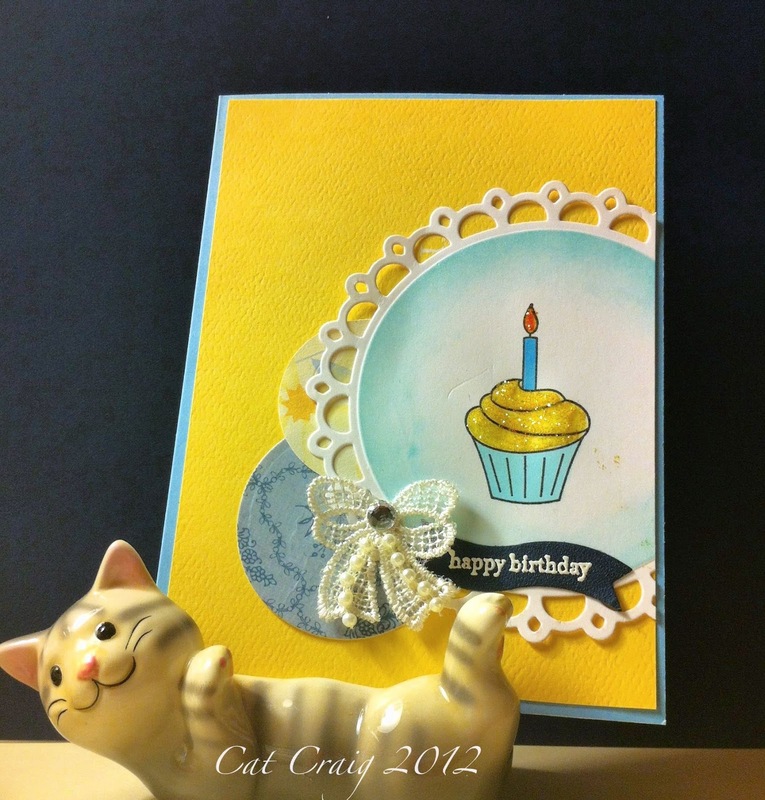 I found this cat in a set that was a freebie with a magazine subscription. It was a TINY set. This is a mini card, 3x4 inches. Next scramble #10, theme was a color challenge, use only Red, Gold and Cream. I wish that gold embossing would photograph better for me. 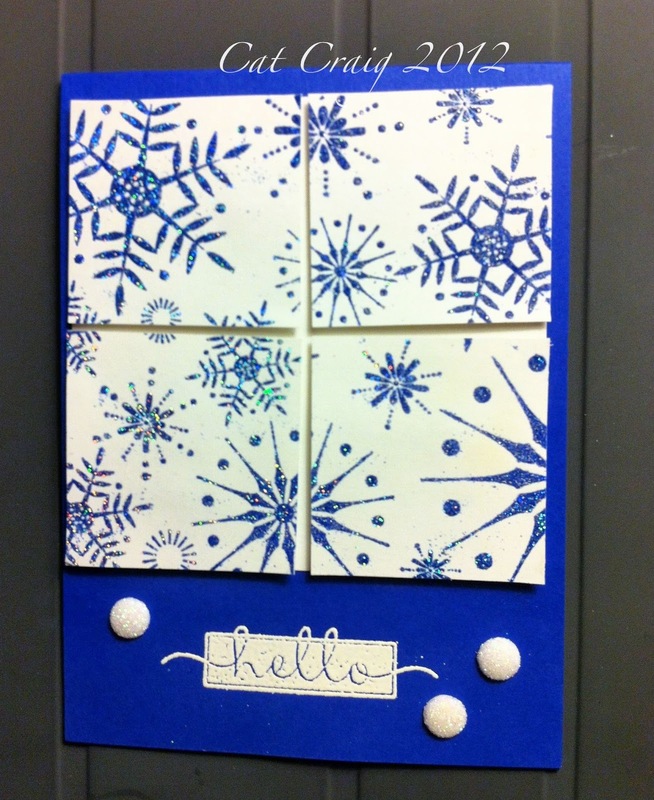 Then scramble #11; the theme was to use 3 patterned papers. You could use stamps to create your own patterned paper. I made two for this challenge, the polka dots was my first, but then I wondered if the 3 patterns were too similar. 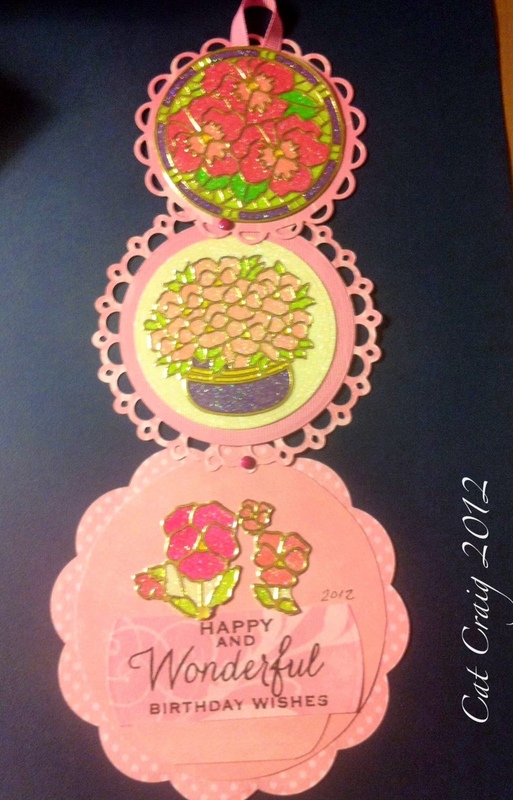 I made another card, the stamped flowers are actually stamped on patterned paper. That is all. This is such a group of fun and talented ladies, it was definitely time well spent...Thanks for stopping by. Hi! 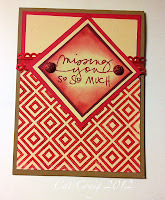 I have seen a few cards with this squares Hero Arts background stamp...and I am in love with this stamp. I can see lots of uses. 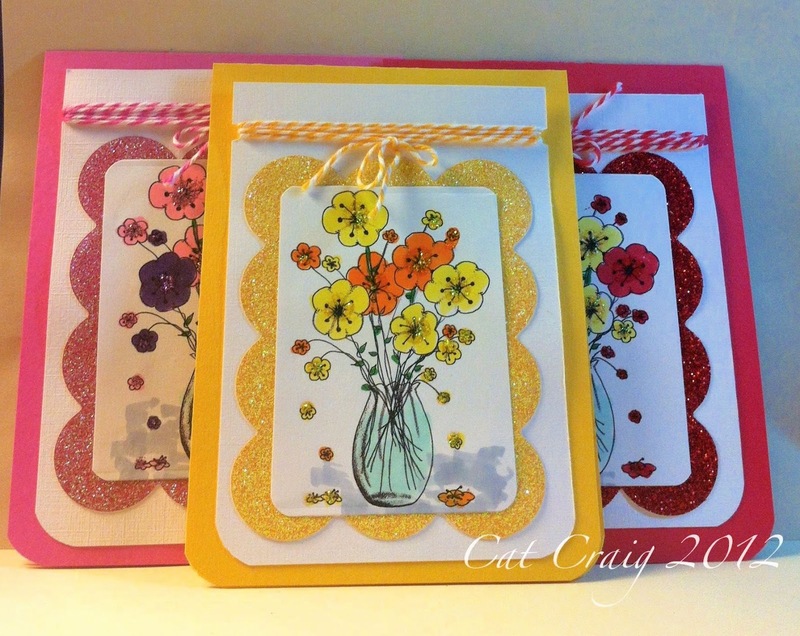 I made two similar cards for my first inkings of this stamp. I used it as a diamond shape. I am pleased with the outcomes. The stamps are heat embossed, they shine a bit IRL. 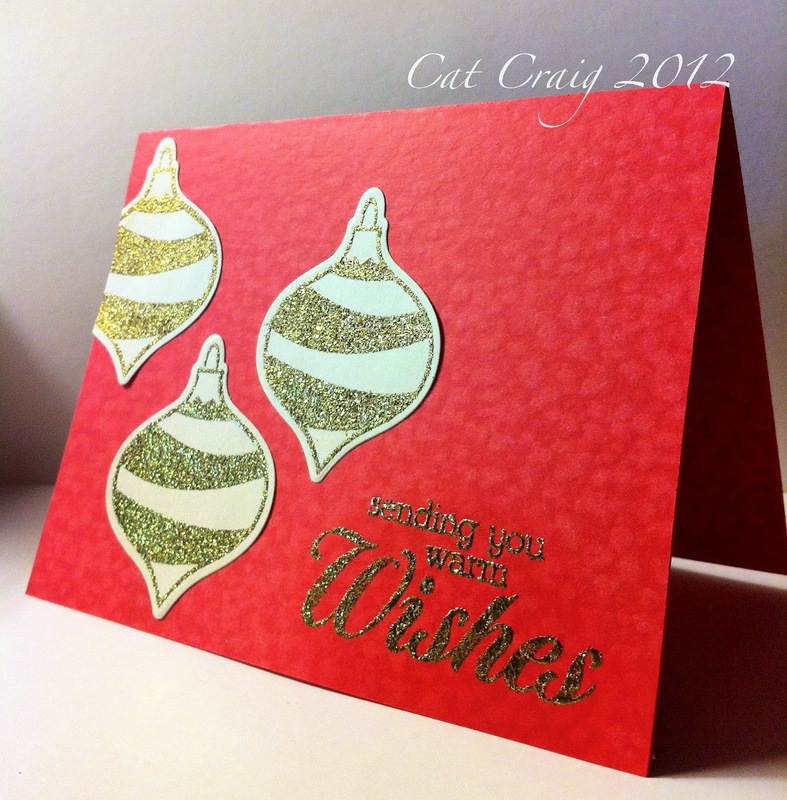 Topaz colored gems are on the brown, and red glitter dots on the red. The brown is my favorite, but the red is very close to my heart. Thanks for stopping by for a look. Hi. I decided to try another Mojo Monday sketch challenge. The sketch is interesting. 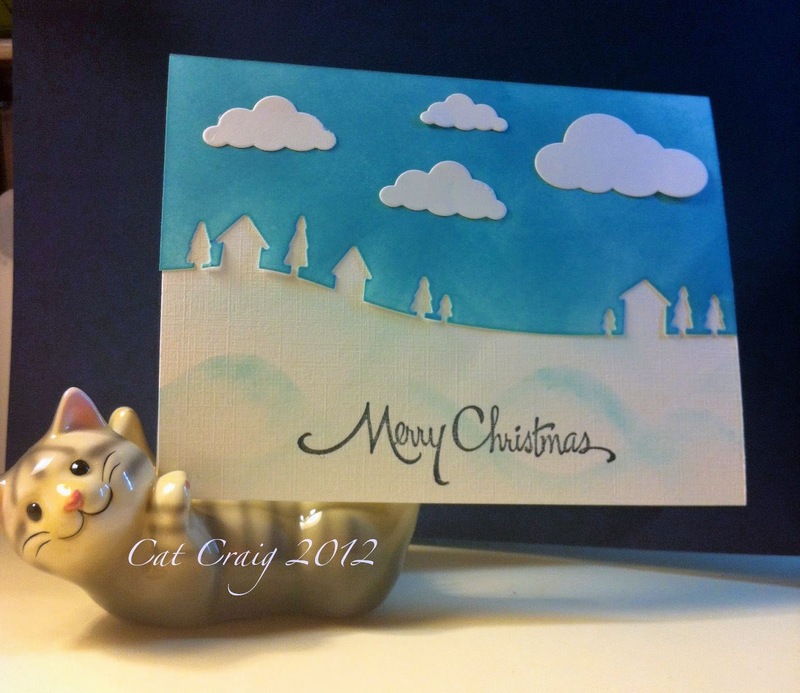 There are alot of elements, and I am using an A2 card base. I decided to go with some patterned papers for the panels. 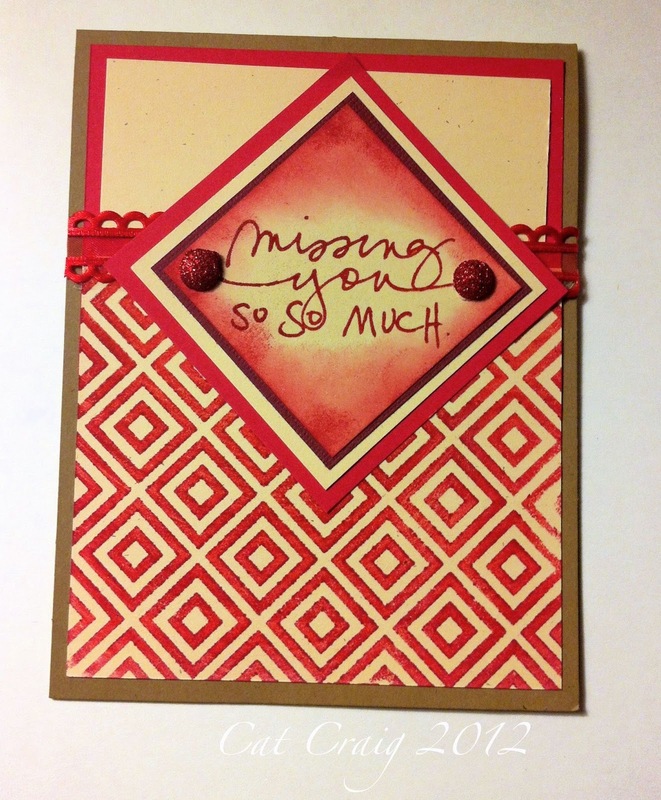 I switched things up a bit, because I put the center panel on the card upside down...then my sentiment stamp just needed to go in another direction. I'm just gonna call it creative license! Papers are DCVW, Image Stamp is Heartfelt Creations, sentiment stamp is Hero Arts, die is Spellbinders, flower is Sandylion, ribbon is Offray, punch is Martha Stewart, copics to color, memento ink for stamping, recollections clear embossing powder, and distress ink. Hello! 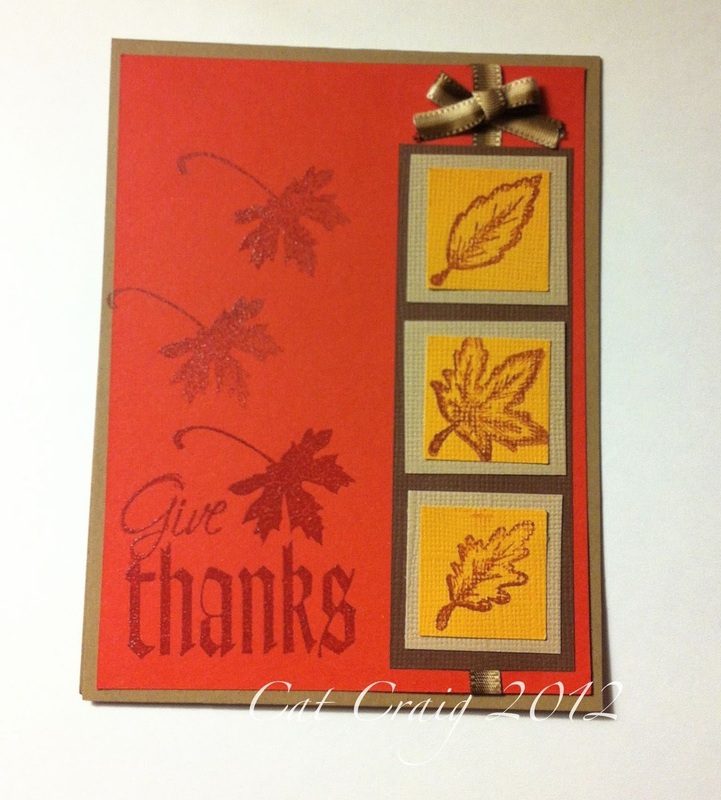 Here is a quick fall card I made for the heck of it. 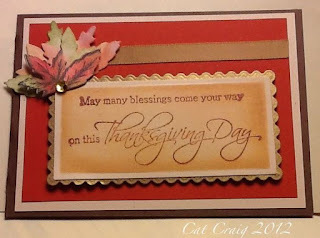 I wanted to play with the Give Thanks stamp I picked up for a dollar! 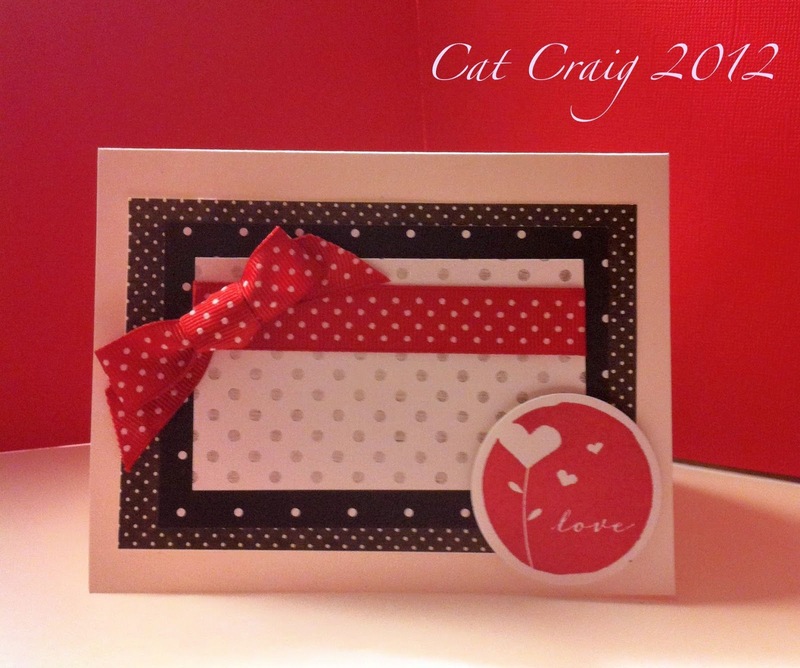 All images are heat embossed, I love the feel of it on a card. Thanks for taking a quick look. Have a great day! Hi! Last Saturday I participated in another of my favorite scrambles at the Hero Arts Flickr Group. The challenge was to use at least 1 Hero Arts stamp, 1 background stamp, and an edge punch. 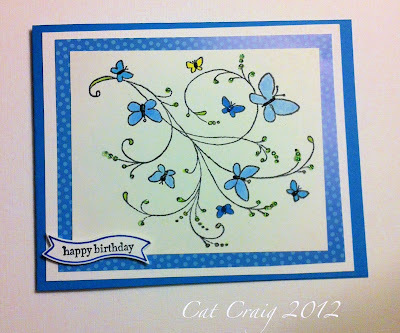 I had about 45 minutes before I had to leave for another appointment, and so I dashed out this card. I have to say I am loving those Hero Arts mid-tone shadow inks. My newest acquisition is Green Hills. I am so excited this weekend the Hero Arts Flickr group will be having 24 HOURS of 90 minute scrambles with 30 minute breaks for commenting between. That's 12 scrambles between 6:30 PM CST-USA on Friday the 16th and the last scramble starts on Saturday the 17th at 5:00 PM CST-USA. So many opportunities to come play along. I'll be hosting at 8:30 CST-USA, and I have a fun theme. For details and all the hostesses and times follow this link. Hero Arts will be providing a digi-stamp as a prize to the winner of each scramble! Thanks to Hannah for putting this together! When I was making my embossing folder tags, I came across this one. It needed to be used. 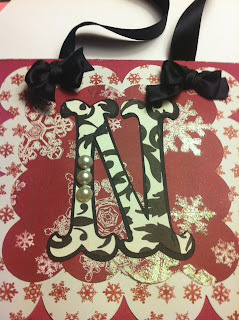 I embossed it, added some pearls, some ribbon and a nice red sentiment. I can't seem to get away from that black, red and white palette. Thanks for stopping by. 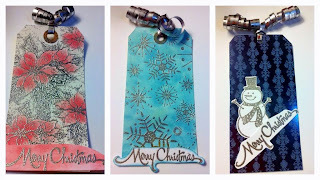 I am playing with emboss resist techniques. I am trying to learn the technique. 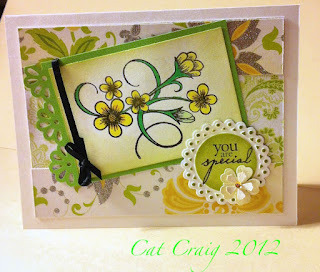 This card is going to Hubs, he is on deadline the next two weeks, so I think it will get there before he reads the blog. Fingers crossed! Have a great day. Thanks for stopping by. I succumbed to the Stamp sale last Monday at Stampin Up. Today they arrived. Play time. 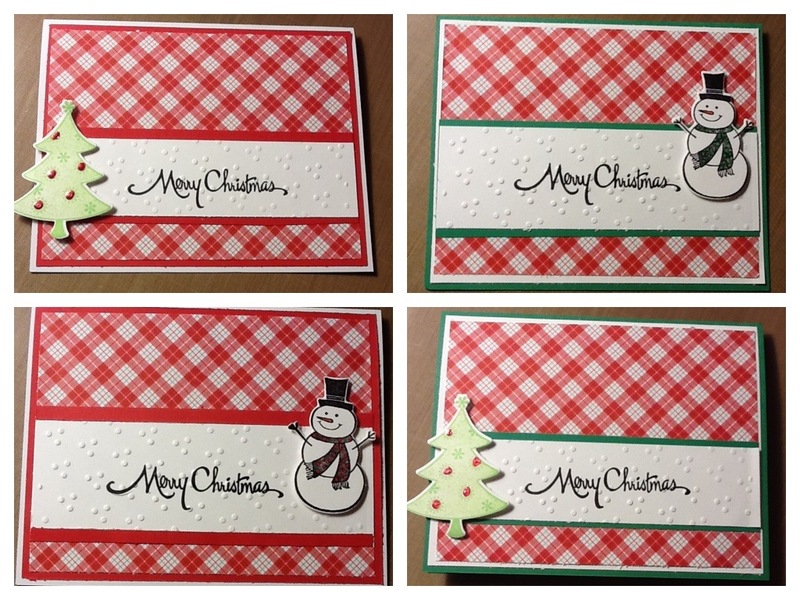 I made this set of cards, which will find their way under a friend's Christmas Tree. 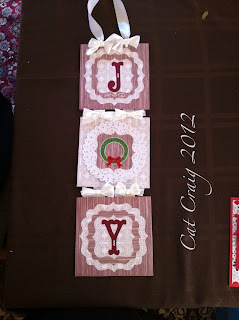 The set I used is a sentiment set called Word Play. 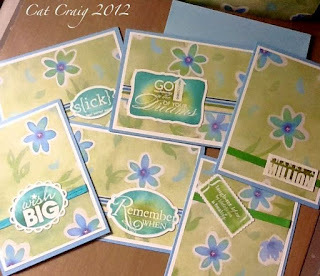 I chose 6 of the 12 sentiments for the set. 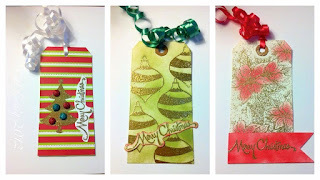 I found some patterned paper, a bit of ribbon and some stamping, embossing, and sponging. I liked appearance of white outlines/borders on the flowers on this patterned paper, and used spellbinder dies so that I could emulate the white border with the sentiment pieces. I decided a coordinating box would round things out well. 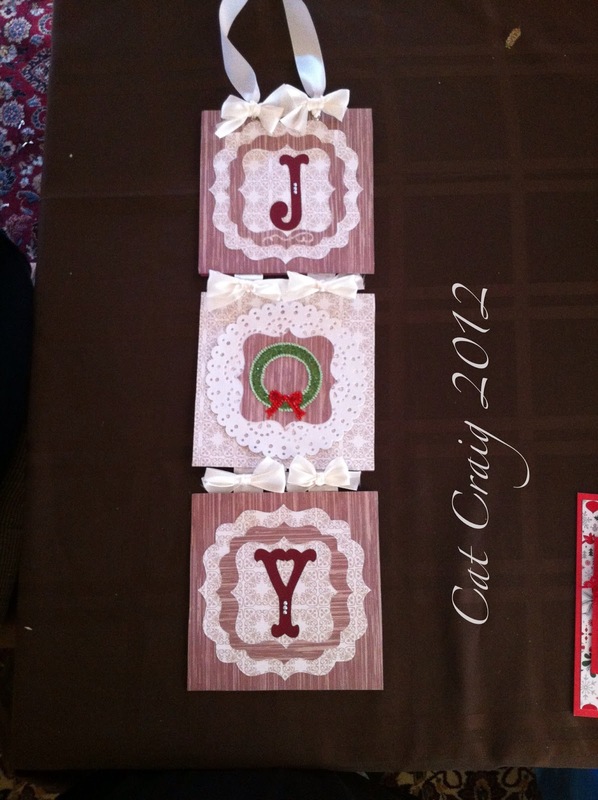 Without a pattern, I managed to pull it off using one 12x12 and one 8.5 x11 sheet. I am a bit impatient, and rarely read instructions...unless its Ikea Furniture...but that is another story entirely!